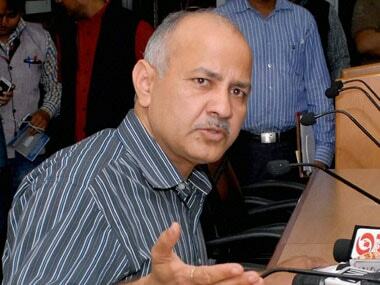 New Delhi: The row over the alleged attack on Delhi chief secretary by AAP MLAs intensified on Monday with government employees demanding action "as per law" against Chief Minister Arvind Kejriwal and his deputy Manish Sisodia in the case, even as the AAP dispensation mulled live streaming of all meetings of its ministers. With the bureaucrats continuing to boycott meetings, the deputy chief minister wrote a letter to Lieutenant Governor Anil Baijal, asking him to order officers to resume work. Sisodia, in his letter to Baijal, also asserted that if the services matter came under the Delhi government, "rule of law" would have been followed. 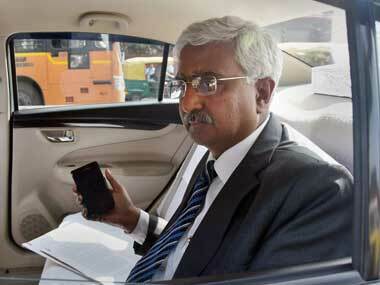 Digging their heels in, the officers, including those from IAS and DANICS, said they will continue to communicate with ministers only in writing until Kejriwal and Sisodia give a public apology over the alleged assault on Chief Secretary Anshu Prakash at the chief minister's residence on the intervening night of 19 and 20 February. 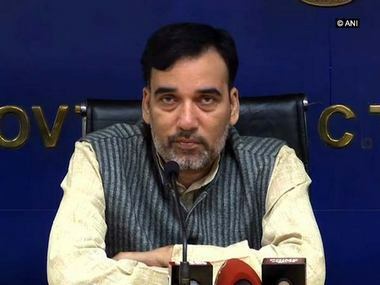 In a resolution, the Joint Forum of Delhi Government Employees also rejected mediation by Delhi minister Rajender Pal Gautam, the “peacemaker" appointed by the AAP government, who said the attitude of officers "is not correct" and "they should show a positive response to government efforts to end the current crisis". Meanwhile, the police termed as "wrong and irresponsible" reports that said they made a statement in the court, saying the CCTVs have been tampered with. "It is factually wrong and irresponsible. Today, the defence counsel while arguing for the bail of the accused stated that police must prove that tampering has been done. "It was informed to court that the site visit reveals discrepancies in the timing. Only FSL will be able to tell if any tampering has been done. Please don't quote police with factually wrong information," said Harendra K Singh, Additional DCP. The AAP, which has alleged that its minister Imran Hussain and Delhi Dialogue Commission's vice-chairman Ashish Khetan were assaulted, sent a delegation to Delhi Police Commissioner Amulya Patnaik to demand "justice" for its leaders and action in the cases. The delegation, which included AAP leader Ashutosh and party MP Sanjay Singh, told reporters that they gave Patnaik "video evidence" of the "assaults" that took place on 20 February at the Delhi Secretariat. Ashutosh claimed that police were prompt in taking action against AAP MLAs Prakash Jarwal and Amanatullah Khan — for allegedly assaulting chief secretary Anshu Prakash — though there was no evidence against them. "The AAP MLAs were arrested though he (Prakash) produced no evidence. 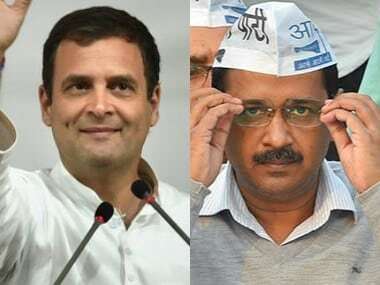 What about the life threatening attacks on Delhi minister Imran Hussain and DDA vice-chairman Ashish Khetan, who enjoys the rank of cabinet minister," Ashutosh asked. Amid the standoff with the bureaucracy, the Delhi government today said it is now mulling live streaming of all meetings of its ministers. A senior government official said that as per the plan, live feed of meetings with audio output will be available on a website, and if the proposal is passed, funds will be allocated for it in the upcoming budget. "Through live streaming of official meetings, people will be able to know who spoke what in the meeting, be it the elected representative or officials," the official said. With no end to the stalemate in sight, Gautam, who is the social welfare minister, said trust building is not the work of political executive only. "Government is taking an initiative to end this problem and now the (agitating) officers should come forward in a bid to build trust and have a dialogue so that governance does not affect," he told reporters here, while asserting that there is also a plan to put all file movement and notings online. However, the employees forum appealed to Baijal and Patnaik to take action against Kejriwal and Sisoida in the chief secretary assault case. In his letter to the L-G, Sisodia mentioned that two important meetings that were called by him were boycotted by officers. "If services were our subject, we would have certainly ensured that the rule of law was followed and the constitutional scheme of functioning was complied with," he wrote in the letter. Also, Transport Commissioner Varsha Joshi and PWD's Principal Secretary Renu Sharma were among other senior bureaucrats who skipped the meeting of 'State Road Safety Council' called by Transport Minister Kailash Gahlot. The employees forum in its resolution claimed that instead of apologising and admitting their mistake, the chief minister and and the deputy chief minister are in a "denial mode" which shows that they were a "part of the conspiracy". "This shows that they were a part of the conspiracy and since they are specifically identified in the FIR, we appeal to L-G and the Commissioner of Police to take action as per law against the chief minister & Deputy chief minister," the resolution said. In such a situation, communication between the political and permanent executive can only continue through formal written means and no talks are possible, it said.